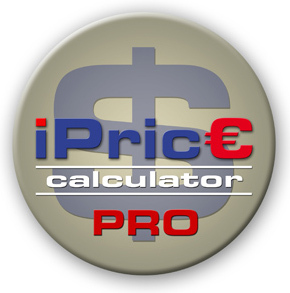 IPrice calculator PRO is the top version of the component. The component provides any web site running on Joomla! 1.5 with a full set of functions to organize price-lists and catalogs of products or services with use of a shopping cart, calculation of a total for selected items, calculating sales tax, compilation and e-mailing orders to both a manager and customer, order administration - review, removal, resubmission - as well as price-list insertion into the site's publications. The component supports English, Russian, German and French. The component allows to output price-list items organized by sections and categories. Each item can have a name, short description, full description, unit, price, amount and selection type (regular selector as a check-box, numeric entry, one of a kind selector as a radio group). Groups of items can be separated with a divider. * Two-tier product hierarchy: section and category. * On-the-fly calculation of item amount, totals, subtotals and integrants in price-list mode. On-the-fly calculation of sales tax and grand total in cart mode. * Product description with HTML formatting (pictures, formatted text, etc.). * Shopping cart allowing multiple selections across several price-lists or catalogs, forming a single final order. * Up to 5 discounts for each product item, for all items within a category or for all items within a section. Discount item can be inherited from the discount category. In turn, discount category can be inherited from the discount section. Discount may depend on the item quantity or the item amount. 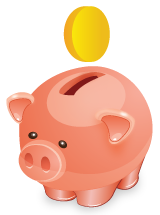 Discount can be specified in percentage or fixed amount. * Ability to attach a file to each selected item. * Two ways to display the product list - as a list or catalog. * Ability to create independent price-lists for various product groups with individual settings (assigned manager, output type, currency, etc.). * Ability to insert price-lists into site publications or into other component's contents. * Support for Joomla CAPTCHA for spam protection. * Support for Joom!Fish for multilingual price-lists. * Product data import from an CSV (Excel) file. Ability to update products from an CSV file. * Ability to add extra import fields for item description with individual HTML formatting of each field. * Integration with Smartresizer plug-in to automatically generate thumbnails for product pictures. * Multiple currency support with automatic conversion depending on the database-stored exchange rates. * Support for SEO URLs. * Order management - review, removal, resubmission. * Pagination for long product lists. * Product filtering by a search string, sections and categories. * Ability to predefine package orders for fast selection of all the items in a package. * Fields "Short description", "Unit", "Discount", "Item amount" can be hidden in price-list view. * The content plug-in for an insert of price-lists and catalogues in articles and other site content. * The shopping cart module. * The table of content module.